Iberostar Paraiso Maya is a family all inclusive resort. As you enter this all inclusive family resort, you will be greeted by a mammoth reproduction of the famous pyrimid at Chichen Itza. 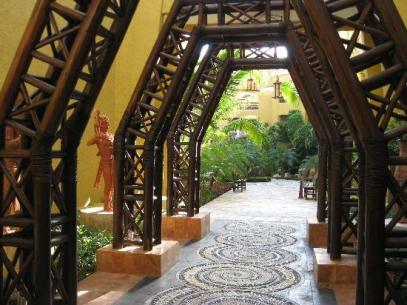 This resort has a big Mayan Theme and you can see it all throughout the resort! The lobby is adorned with statues and artwork. The tables in the lobby are in shapes of animals! With your wristband you will have access to the other Iberostar Hotels. 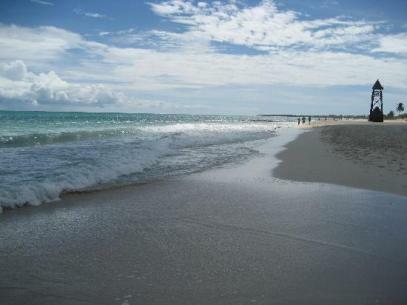 Paraiso Lindo is on the same property, and Paraiso del mar and beach are nearby. What is unique about the Iberostar Paraiso Maya? There are 3 small private swimming pools at this resort. and also a wave pool if you need a little more action! Here is a a picture of the gorgous walkways at this resort. The health club is also available for your use. 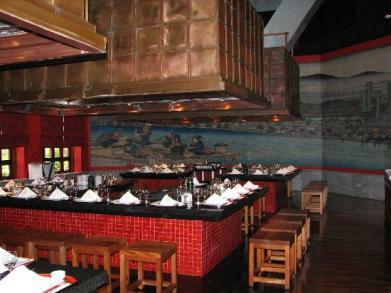 Iberostar Paraiso Maya has 4 dining areas. If you include dining areas at Paraiso Maya which is on the same property then you have 11 to choose from. Breakfast and lunch are buffets. Dinner reservations are made through your concierge. This picture is of the Japanese restaurant at this resort. 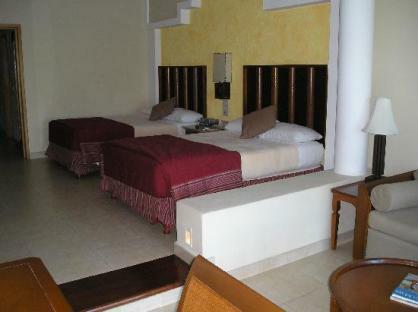 This is a picture of your room at the Iberostar Paraiso Maya. Check out this resorts sister property.